While dwarfism is sometimes used to describe achondroplasia, a condition characterized by short stature and disproportionately short arms and legs, it is also used more broadly to refer to a variety of conditions resulting in unusually short stature in both children and adults. In some cases physical development may be disproportionate, as in achondroplasia, but in others the parts of the body develop proportionately. Short stature may be unaccompanied by other symptoms, or it may occur together with other problems, both physical and mental. There are many conditions and diseases that can cause short stature. Some of these conditions involve a primary bone disorder, namely that the bones do not grow and develop normally. These conditions are called skeletal dysplasia. Over 500 specific skeletal dysplasias have been identified. Of these, Achondroplasia is the most common, affecting about 80 percent of all little people. An individual with achondroplasia has disproportionate short stature. The four most common causes of dwarfism in children are achondroplasia, Turner syndrome , inadequate pituitary function ( pituitary dwarfism ), and lack of emotional or physical nurturance. Achondroplasia (short-limbed dwarfism) is a genetic disorder that impairs embryonic development, resulting in abnormalities in bone growth and cartilage development. It is one of a class of illnesses called chondrodystrophies, all of which involve cartilage abnormalities and result in short stature. In achondroplasia, the long bones fail to develop normally, making the arms and legs disproportionately short and stubby (and sometimes curved). Overly long fibulae (one of two bones in the lower leg) cause the bowlegs that are characteristic of the condition. In addition, the head is disproportionately large and the bridge of the nose is depressed. Persons with achondroplasia are 3–5 feet (91–152 cm) tall and of normal intelligence . Their reproductive development is normal, and they have greater than normal muscular strength. The condition occurs in one out of every 10,000 births, and its prevalence increases with the age of the parents, especially the father. Many infants with the condition are stillborn. Turner syndrome is a chromosomal abnormality occurring only in females in whom one of the X chromosomes is missing or defective. Girls with Turner syndrome are usually between 4.5 and 5 feet (137–152 cm) tall. Their ovaries are undeveloped, and they do not undergo puberty . Besides short stature, other physical characteristics include a stocky build and a webbed neck. Pituitary dwarfism is a result of growth hormone deficiency. The deficiency may be genetic or the result of a severe brain injury. When untreated, skeletal growth is extremely slow, and puberty may or may not occur. Development can be normalized with the regular administration of synthetic hormones. Parental neglect and malnourishment can cause a child to fail to grow properly. Infants in particular need physical comfort as well as caloric nourishment in order to thrive. Adult males under 5 feet (1.5 m) tall and females under 4 feet 8 inches (1.4 m) are classified as being short-statured. Children are considered unusually short if they fall below the third percentile of height for their age group. In 2004 there were approximately 5 million people of short stature (for their age) living in the United States, of whom 40 percent were under the age of 21. Achondroplasia occurs in all races and with equal frequency in males and females and affects about one in every 40,000 children. The prevalence of Turner syndrome is widely reported as being approximately one per 2,500 live female births. In 2004, more than 20,000 children in United States were receiving supplemental growth hormone (GH) therapy. It is estimated that about one-fourth of them had organic causes of GH deficiencies. There appears to be no racial or ethnic component to pituitary dwarfism, but males seem to be afflicted more often than females. Some prenatal factors known to contribute to growth retardation include a variety of maternal health problems, including toxemia, kidney and heart disease, infections such as rubella and maternal malnutrition . Maternal age is also a factor (adolescent mothers are prone to have undersize babies), as is uterine constraint (which occurs when the uterus is too small for the baby). Possible causes that center on the fetus rather than the mother include chromosomal abnormalities, genetic and other syndromes that impair skeletal growth, and defects of the placenta or umbilical cord. Environmental factors that influence intrauterine growth include maternal use of drugs (including alcohol and tobacco). Some infants who are small at birth (especially twins ) may attain normal stature within the first year of life, while others remain small throughout their lives. Endocrine and metabolic disorders are another important cause of growth problems. Growth can be impaired by conditions affecting the pituitary, thyroid, parathyroid, and adrenal glands (all part of the endocrine system). Probably the best known of these conditions is growth hormone deficiency, which is associated with the pituitary and hypothalamus glands. If the deficiency begins prenatally, the baby will still be of normal size and weight at birth but will then experience slowed growth. Weight gain still tends to be normal, leading to overweight and a higher than average proportion of body fat. The facial structures of children with this condition are immature, making them look younger than their actual age. Adults in whom growth hormone deficiency has not been treated attain a height of only about 2.5 feet (76 cm). They also have high-pitched voices, high foreheads, and wrinkled skin. Another endocrine disorder that can interfere with growth is hypothyroidism , a condition resulting from insufficient activity of the thyroid gland. Affecting one in 4,000 infants born in the United States, it can have a variety of causes, including underdevelopment, absence, or removal of the thyroid gland, lack of an enzyme needed for adequate thyroid function, iodine deficiency, or an under-active pituitary gland. In addition to retarding growth, it can cause mental retardation if thyroid hormones are not administered in the first months of an infant's life. If the condition goes untreated, it causes impaired mental development in 50 percent of affected children by the age of six months. About 15 percent of cases of short stature in children is caused by chronic diseases, of which endocrine disorders are only one type. Many of these conditions do not appear until after the fifth year of life. Children with renal disease often experience growth retardation, especially if the condition is congenital. Congenital heart disease can cause slow growth, either directly or through secondary problems. Short stature can also result from a variety of conditions related to inadequate nutrition , including malabsorption syndromes (in which the body is lacking a substance—often an enzyme—necessary for proper absorption of an important nutrient), chronic inflammatory bowel disorders, caloric deficiencies, and zinc deficiency. A form of severe malnutrition called marasmus retards growth in all parts of the body, including the head (causing mental retardation as well). Marasmus can be caused by being weaned very early and not adequately fed afterwards; if the intake of calories and protein is limited severely enough, the body wastes away. Although the mental and emotional effects of the condition can be reversed with changes in environment, the growth retardation it causes is permanent. On occasion, growth retardation may also be caused solely by emotional deprivation. Growth problems should be tracked and addressed by a doctor at a child's regular check-ups. If the child is consistently below the fifth percentile on standard growth charts or if a child stops growing at all, the parent(s) should discuss the implications with the child's pediatrician. Dwarfism is determined by direct measurement of a person's height. Achondroplasia can be detected through prenatal screening. X rays of the long bones may be performed in a newborn. Pituitary dwarfism can be diagnosed with blood tests for growth hormones or MRI of the head. Since growth problems are so varied, there is a wide variety of treatments for them, including nutritional changes, medications to treat underlying conditions, and, where appropriate, hormone replacement therapy. There is no specific treatment for achondroplasia, besides treating any orthopedic problems that may arise. Young female dwarf standing next to a boy of normal stature. for therapeutic purposes was originally derived from the pituitary glands of deceased persons. However, natural growth hormone, aside from being prohibitively expensive, posed health hazards due to contamination. In the 1980s, men who had received growth hormone therapy in childhood were found to have developed Kreuzfeldt-Jakob disease, a fatal neurological disorder. Since then, natural growth hormone has been replaced by a biosynthetic hormone that received FDA approval in 1985. People who are short statured have approximately normal life expectancy. Administration of human growth hormone may increase their adult height although they are unlikely to attain normal height. Those with achondroplasia seldom reach 5 feet (1.5 m) in height. There is no known way to prevent dwarfism because it results from genetic causes. Short stature as a result of parental neglect can be prevented. Education of the parents on the needs of the child is necessary, or the child may be removed from parental custody. Persons who have short stature should eat nutritionally sound, balanced meals. Their caloric requirements are slightly less than those of people who have normal height. Parents of children who are short statured should provide the same love and support as they would to any other child. In addition, they should offer counseling to help their children cope with their smaller stature. Adequate medical treatment should be provided to assure the best possible outcome. Achondroplasia —A congenital disturbance of growth plate development in long bones that results in a person having shortened limbs and a normal trunk. Midget —An individual who is short statured but has normal body proportions. The term is considered to be offensive. See also Pituitary dwarfism ; Turner syndrome . Adelson, Betty M. Dwarfism: Medical and Psychological Aspects of Profound Short Stature. Baltimore, MD: Johns Hopkins University Press, 2005. Kennedy, Dan. Little People: Learning to See the World through My Daughter's Eyes. Emmaus, PA: Rodale Press, 2003. Parker, James N., and Philip M. Parker. Dwarfism (3-in-1 Medical Reference): A Medical Dictionary, Bibliography, and Annotated Research Guide to Internet References. San Diego, CA: Icon Publishers, 2004. Chiavetta, J. B. "Total hip arthroplasty in patients with dwarfism." Journal of Bone and Joint Surgery: American Volume 86-A, no. 2 (2004): 298–304. Faivre, L., et al. "Recurrence of achondrogenesis type II within the same family: evidence for germline mosaicism." American Journal of Medical Genetics 126A, no. 3 (2004): 308–12. Laron, Z. "Laron syndrome (primary growth hormone resistance or insensitivity): the personal experience 1958–2003." Journal of Clinical Endocrinology and Metabolism 89, no. 3 (2004): 1031–44. Pandian, R., and J. M. Nakamoto. "Rational use of the laboratory for childhood and adult growth hormone deficiency." Clinical Laboratory Medicine 2224, no. 1 (2004): 141–74. Human Growth Foundation. 7777 Leesburg Pike (PO Box 309), Falls Church, VA 22043. Web site: http://www.hgfound.org/. Little People of America Inc. PO Box 745, Lubbock, TX 79408. Web site: http://www.lpaonline.org/. "Dwarfism." Dwarfism.org. Available online at http://www.dwarfism.org/ (accessed January 6, 2005). "Dwarfism." MedlinePlus. Available online at http://www.nlm.nih.gov/medlineplus/dwarfism.html (accessed January 6, 2005). "Dwarfism." Nemours Foundation. Available online at http://kidshealth.org/parent/medical/bones/dwarfism.html (accessed January 6, 2005). "Dwarfism." Short Persons Support. 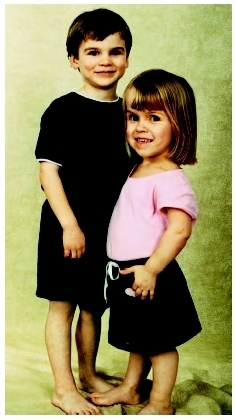 Available online at http://www.shortsupport.org/Health/Dwarfism.html (accessed January 6, 2005). "Dwarfism." University of Kansas Medical Center. Available online at http://www.kumc.edu/gec/support/dwarfism.html (accessed January 6, 2005). "Dwarfism: What Is It?" Little People's Research Fund. Available online at http://www.lprf.org/dwarfism.html (accessed January 6, 2005). Can identical twins one be normal and the other be a dwarf? My girl friend has dwarfism and she has lots of headaches,hypertension,high blood pressure etc is this a normal symptom of her dwarfism or can it be treated as in a normal person with diets and exercise. She has a senior position in her work that involves lots of stress at senior management level. Is her life expectancy the same as normal..her BP now is 180/90.